Read our blog to learn more and then sign our petition. 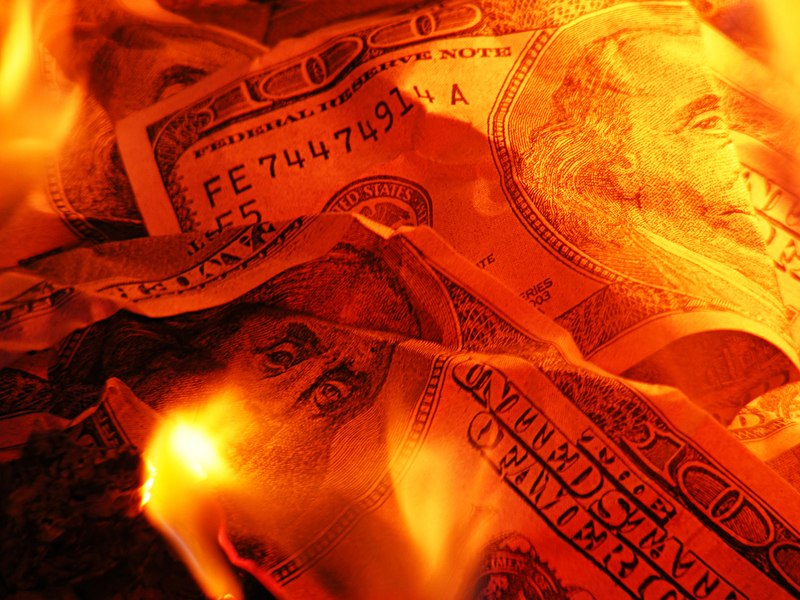 Tell state lawmakers West Virginia doesn’t have money to burn! The State of West Virginia is just one-quarter of the way through its current fiscal year, and Gov. Earl Ray Tomblin announced that we have a budget deficit of $250 million. Why then is the West Virginia Legislature even considering the creation of an intermediate court in our state? It is a waste of our limited tax dollars and an unnecessary expansion of state government. According to the most recent fiscal note on the proposed intermediate court, it will cost taxpayers $9.7 million a year. That amount doesn’t include the initial start-up costs. It also doesn’t include millions more for the additional expenses that will be incurred by state agencies like the West Virginia Attorney General’s office, public defenders, the tax department and other agencies that will need to handle both legal and administrative appeals before the new court. In addition to these costs, county taxpayers will also pay more since we will need to increase the budgets for our county prosecutors. It’s going to cost us millions—and we don’t have the money to waste. We’re cutting essential state programs left and right, including $16 million from our schools and another $16.5 million from higher education. We have one of the oldest populations in the country, but senior programs and services are being cut. We have one of the highest percentages of veterans, but we’re cutting funds for their programs too. Funding for PEIA is being cut, affecting our teachers, public employees and retirees. They are going to face significant cuts in benefits, and their deductibles are being increased. For families, it will be $3,000. Most West Virginia families can’t afford that. We need major roads repairs and infrastructure improvements, but money is being cut for that too. The Legislature should not be wasting tax dollars we don’t have on an intermediate court we don’t need. Despite claims from the corporate special interests pushing for the court, automatic right of appeal exists in West Virginia. Appeals to the West Virginia Supreme Court have declined 60 percent over the last 15 years, from 3,569 in 1999 to just 1,346 last year. Our appeals are declining at a rate four times the national average. The civil cases cited by those wanting the court represent just 14 percent of the cases. They have also declined more than 50 percent over the last decade, from 402 in 2004 to just 184 in 2014. Based on these figures, adding an intermediate court is an unnecessary expansion of state government. That’s a sentiment echoed by the Honorable James Hardesty, chief justice of the Nevada Supreme Court when he appeared by video conference before the Legislature’s Joint Judiciary Committee. Nevada had to add an intermediate court last year due to the state’s rapidly growing population and the increased number of cases being filed. The court there had a three-year backlog. The court system expansion was necessary. When questioned about whether West Virginia needed one in light of its current case filings, Justice Hardesty said no. The West Virginia Legislature’s first priority should be doing what’s best for West Virginians—not pandering to billion-dollar, corporate special interests. If we want to grow our economy, let’s invest in our workforce. Our schools, colleges and universities need to ensure that our young people have the education and skills needed to attract 21st century jobs to this state. That’s done by increasing our education budget—not by cutting it while handing corporate billionaires a court we don’t need. Our kids shouldn’t take a backseat to CEOs. Tell state lawmakers West Virginia doesn’t have money to burn! Sign our petition!